The Kochi Metro Rail Limited (KMRL) which has a few progressive initiatives to its credit, recently took another step towards making metro stations women-friendly. The KMRL is setting up lactating pods at four metro stations across its network. The first pod was inaugurated at the Aluva metro station, and will be installed at Edappally, Lissie Junction and MG Road metro stations in the coming days. It is for the first time that a metro station in the country is providing such facilities for breastfeeding mothers. The 4ft x 4ft rooms, equipped with comfortable seating, lighting, fan, hand sanitiser and charging points, have been designed by wellness startup, I Love 9 Months. The KMRL has also tied with CIMAR hospitals for the initiative. 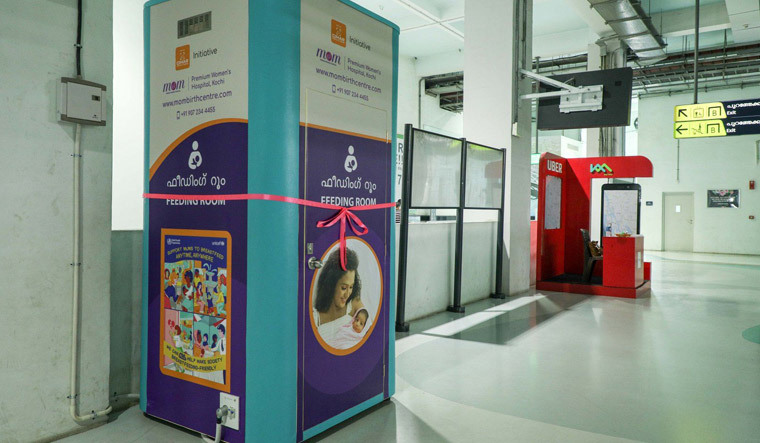 “The attempt is to give mothers a private breastfeeding space in our Metro stations. We may extend the plan to more stations in future,” said KMRL managing director A.P.M. Mohammed Hanish said after inaugurating the facility at Aluva.